I got a new amiibo figure that I thought I’d share with you all. 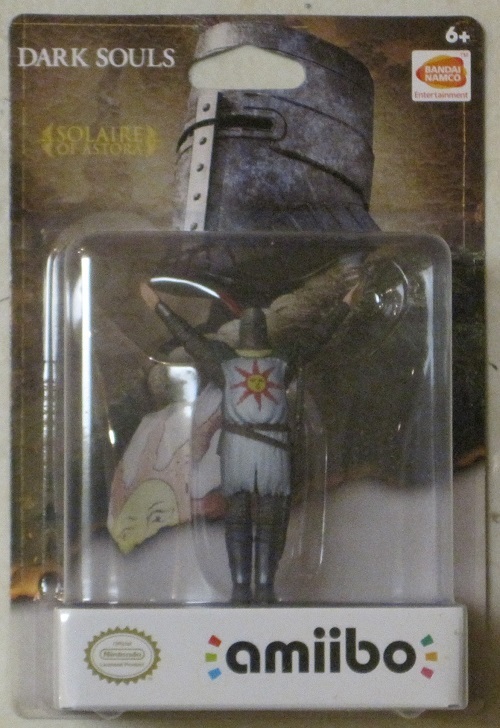 It’s the Dark Souls amiibo! This one proved to be one of the hardest for me to get, as it was a GameStop exclusive. I hate it when they do that! 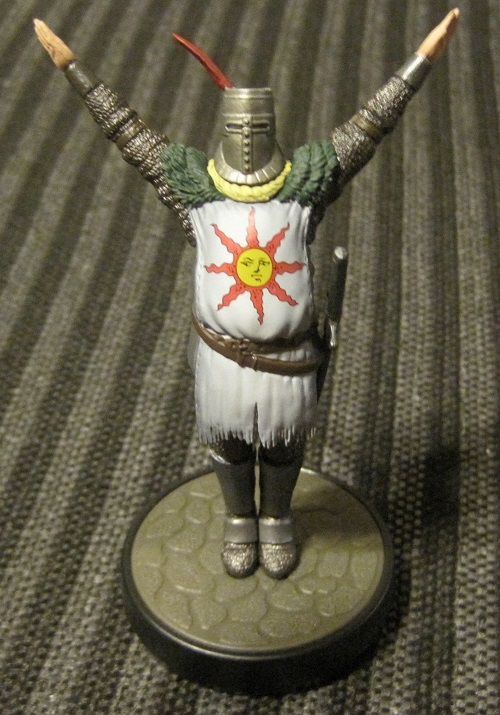 Also, I’ve never played a Dark Souls game, nor do I plan to, so I got this amiibo simply for collection purposes. So I don’t have much to say about it either. Anyway, here it is in the box. And here it is out of the box. I don’t play those games either, but that’s neat. Where’s his sword or shield or some other weapon? Seems an odd choice for pose but when you described what it unlocks, I guess that makes sense. I would look better on a shelf with some kind of battle stance though.